Fashion Design (B.A) with one of France's top fashion schools. At Atelier Chardon Savard fashion design and styling school, we are training our students to devellop their own personality, to increase their knowledge in the field of fashion, design and the arts, to experience and master the indispensable know-hows of the fashion industry. With a trained team of teachers and various experts in their field to support each step of the learning process, our experienced staff is constantly guiding and following our students through the various projects, courses and experiments they have to complete. 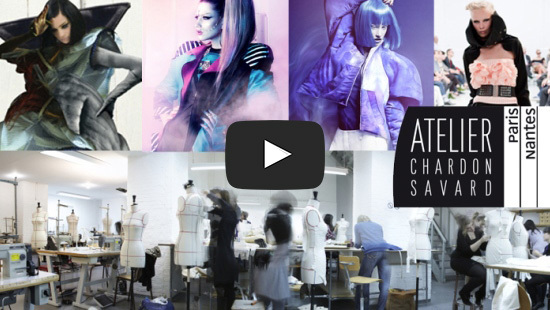 Atelier Chardon Savard and hKDM University open Fashion Design course in Berlin. 3rd trip to Singapore for our students !